With fears over the arrangement being scrapped entirely, relief arrived after the U.S. and Canada came to a last-minute agreement on a revised trade deal that could replace NAFTA. Dubbing NAFTA “the worst trade deal maybe ever signed anywhere,” President Donald Trump had threatened multiple times to cut Canada from the three-nation pact or just terminate the entire pact. Negotiations between the United States and Mexico concluded in August before outstanding issues with Canada were resolved after weeks of discussions. The new pact–called the USMCA (United States, Mexico, Canada Agreement) – will be signed by the end of November and will likely be voted on by Congress in 2019 under so-called “fast-track” rules—a set time for debate and then an up-or-down vote without amendment. Legislators in Canada and Mexico must also approve the deal. The deal governing more than $1.2 trillion in cross-border trading includes some major changes to the dairy and auto industries and a few updates that modernize the 24-year pact for the digital age, including tighter laws over intellectual property rights. U.S. officials hailed the USMCA as a template for future trade deals that will lead to increased wages for Americans, improved worker rights and better protection of intellectual property. One surprise area where there has been no change is that U.S. tariffs on Canadian and Mexican steel and aluminum will remain for now, even though this was seen as a key barrier to a deal. That piece will have to be negotiated separately, senior administration officials said. Many trade groups are still digesting the USMCA that runs 1,809 pages long–about 100 more than the original NAFTA. But many are already expressing relief that the new deal largely maintains the status quo on free trade. Among specific industries, the two winners for the U.S. were seen as dairy and auto. In a win for the U.S., USMCA will open up some of Canada’s dairy market to U.S. farmers. Under the original NAFTA, Canada limited how much milk, cheese and other dairy products could come in from the U.S., imposing import quotas on milk and Canadian tariffs that range from 200 percent to 300 percent for exporting too much of a given product. As a result of the new pact, more American milk, butter, cheese and other dairy products will flow into Canada duty-free. In return, the U.S. will allow more Canadian dairy, peanuts and peanut products and a limited amount of sugar to cross the border, according to a document from U.S. Trade Representative’s Office. The agreement sets new rules for automobile production, meant to incentivize production of cars and trucks in countries that pay higher wages. Specifically, the new deal will require more of a vehicle’s parts to be made in North America in order for the car to be free from tariffs. Under the terms of the agreement starting in 2020, a car will qualify for tariff-free treatment only if 75 percent of its contents are made in North America, up from 62.5 percent in the current NAFTA. The provision will help keep the production of car parts in the United States and bring back some production that moved abroad, the USTR said. In addition, at least initially, 30 percent of the content must be produced by workers earning at least U.S.$16 an hour. This will ramp up to 40 percent in 2023. The wage is more than three times what the average Mexican autoworker earns now. While higher Mexican wages may discourage auto makers in Canada and the U.S. to relocate to Mexico, the new rules could create strong incentives for American and Canadian auto makers to move to Asia. The new agreement includes side letters that grant exemptions from any future American tariffs to 2.6 million imported passenger vehicles from each of those countries. That’s slightly more vehicles than Mexico has exported to the United States over the last year and nearly one million more than Canada has exported. The impact on apparel and footwear appears negligible. NCTO noted that products from the textile and apparel supply chain accounted for nearly $12 billion in U.S. exports to Canada and Mexico in 2017. The NCTO said the organization won’t be making any further comment with respect to the deal until the substance of the agreement could be carefully analyzed by NCTO. In an e-mail to members, Rich Harper, manager of international trade for the Outdoor Industry Association (OIA) held off on applauding the new pact. He said OIA will conduct a thorough analysis of the agreement and report back to its members about how the agreement comports with the industry’s priorities. Preserve reciprocal duty-free market access for outdoor apparel, footwear and equipment as a primary outcome. Include tough and enforceable labor and environmental provisions that match international standards in the core text of the agreement and that are subject to the same dispute settlement procedures as the commercial provisions. 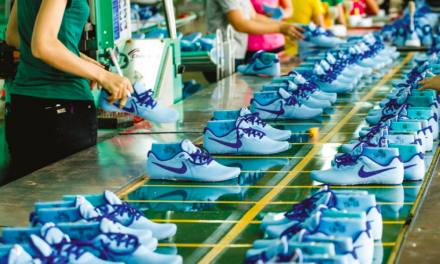 The pact does include a measure that updates labor and environmental standards that weren’t central to the 1994 accord and are now typical in modern trade agreements. Beyond enforcing a minimum wage for autoworkers, new measures include stricter environmental standards for Mexican trucks and a number of regulations on fishing to protect marine life. Some are questioning how such standards will be enforced in Mexico. Also in terms of modernizing the pact, the new agreement includes stronger protections for patents and trademarks in areas such as biotech, financial services and domain names. Canada will benefit less from these protections than the U.S. given the differences in size of these sectors in both countries. NAFTA was the first trade treaty to include intellectual property protections, but much has changed over the last quarter of a century regarding the rules and limitations around the protection of patents and trademarks. The pact outlines criminal penalties for pirating movies online. It also prohibits duties on digital music, books, software and video games that are distributed electronically. The most significant achievement by Canadian negotiators is their success in preserving Chapter 19 from the original NAFTA. 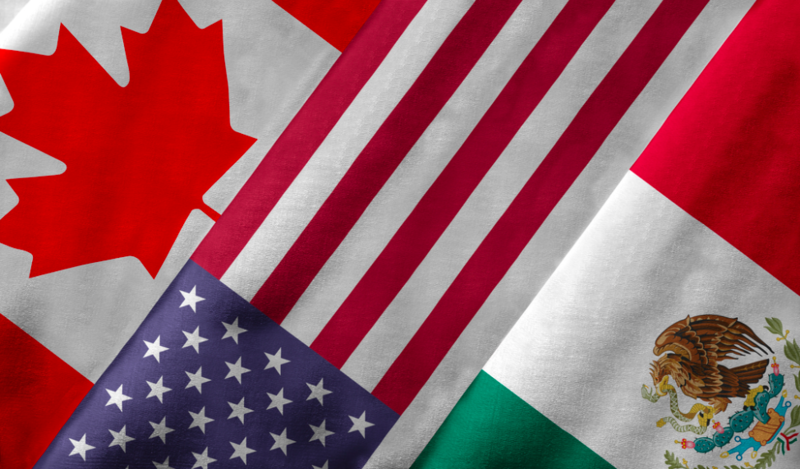 These provisions allow Canada, Mexico and the United States to challenge one another’s anti-dumping and countervailing duties in front of a panel of representatives from each country. The Trump administration did not get the administration’s wish for the sunset clause that would have killed NAFTA after five years unless all three countries agreed to renew it. Negotiators agreed to keep the trade pact for 16 years unless all three countries agreed to extend it. The U.S., Canada and Mexico will formally review the deal six years from now to determine whether to extend its lifespan beyond 16 years. The old NAFTA had an indefinite time horizon. The AFL-CIO applauded what it saw as improved labor rules, including detailed obligations to eradicate Mexico’s protection contracts; a meaningful reduction of special rights for foreign investors; and generally stronger content rules to prevent non-NAFTA countries from “free riding” on NAFTA tariff reductions. Overall, the AFL-CIO praised the administration for taking aim at outsourcing but emphasized it needed more specifics before endorsing.